The Digital Reference DRI100 Dynamic Instrument Microphone offers frequency response for superior sound reproduction. The mic's clarity and warmth makes guitars, amps, percussion and horns sound their very best. The DRI100 microphone's tight pickup pattern isolates your instrument from other performers, while at the same time reducing feedback. 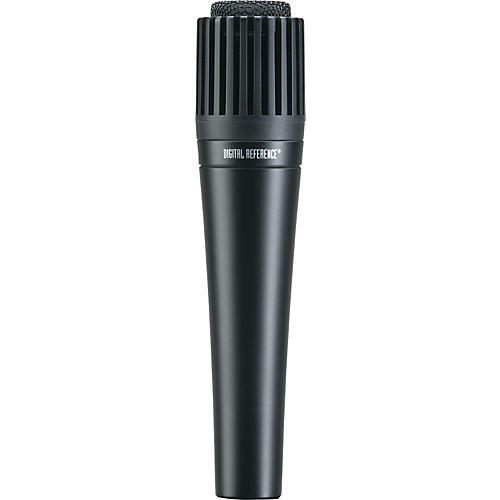 Designed to handle high sound pressure levels, the Digital Reference DRI100 mic captures all the subtle nuances of drums and saxophones as well as vocals and stringed instruments.